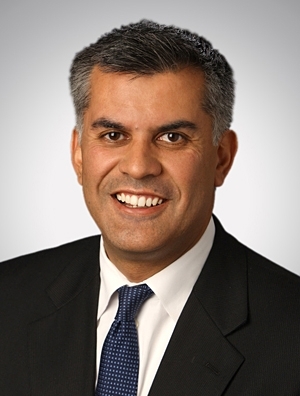 Mike Aldana is the managing partner of Quarles & Brady and a partner in the firm's Labor & Employment Group. He represents a broad range of employers in all facets of labor and employment law. Mike has substantial experience in defending employers in employment discrimination cases, wrongful discharge lawsuits, wage and hour claims, and union litigation in federal and state courts and before federal and state agencies. He also negotiates, on an ongoing basis, numerous collective bargaining agreements and assists employers in contract administration and arbitrations. He regularly counsels employers on day-to-day human resources issues and assists employers in reductions in forces and employment-related issues related to acquisitions and mergers. Mike is a frequent lecturer, both statewide and nationally, on employment, civil rights, education law, and constitutional topics. Representation of numerous clients in reductions in force in several states. Representation of clients in developing background screening procedures, to ensure FCRA, EEOC and state law compliance and in litigation regarding these issues. Successful defense of employers in nationwide class actions wage and hour cases. Successful representation of client in disability class action lawsuit, resulting in complete dismissal of claims upon appeal to Seventh Circuit and recoupment of attorneys fees.